Clear and effective communication is important in the health care setting. The “Teach-back” method is an evidence-based strategy health care providers can use to ensure information is explained clearly and to gauge patient understanding. 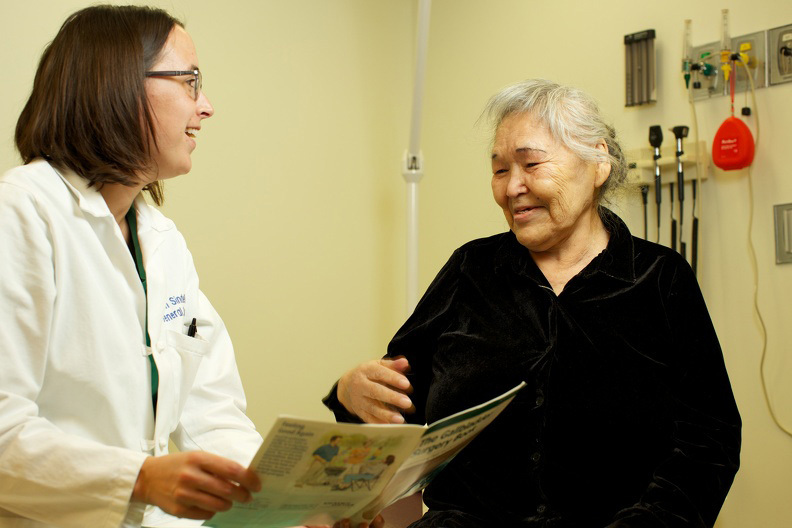 Through the Good Health and Wellness in Indian Country (GHWIC) grant the Alaska Native Epidemiology Center (ANEC) is promoting use of the “Always Use Teach-back” online training module. The module is part of the “Always Use Teach-back” toolkit, a free, interactive, web-based training resource for health care providers. In October, 2016, ANEC staff received permission from the creators of “Teach-back” and the Alaska Native Tribal Health Consortium (ANTHC) leadership to add the training to HealthStream, ANTHC’s employee training system. Four organizations in addition to ANTHC use HealthStream as their employee training platform, and can now offer or assign the “Teach-back” training to staff. One of the ANEC GHWIC Tribal Health Organization (THO) subawardees is using the HealthStream training as part of a larger organizational effort to incorporate the “Teach Back” method into clinical practice. The THO added the training module to their new hire orientation and also required all clinical staff to complete it during the annual staff training period.